Finally…..fall is here! Though I eat pumpkin all-year round because I love it so much but September just makes me want to eat pumpkin-everything. 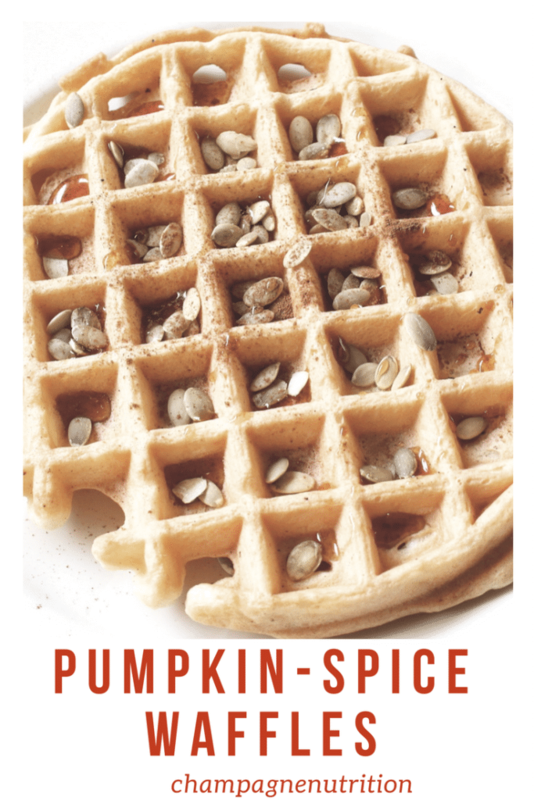 I’m looking forward to my first PSL of the year (expert order tip: double tall soy 1 pump pumpkin spice latte) and when I got up today I wanted waffles. I wanted pumpkin-spice homemade waffles. My waffle making entails using a mix like Bobs Red Mill. It can still be homemade if you do this but it is just faster and easier – perfect! With a mix, you’ll generally add in an egg or two, a little bit of oil and some dairy or non-dairy milk. 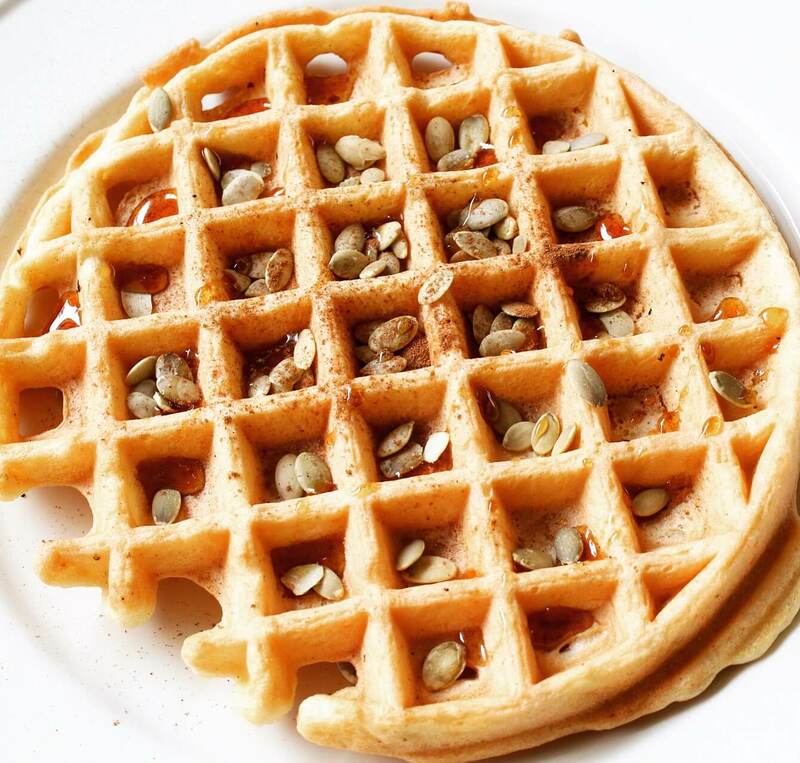 To make these waffles (or pancakes) pumpkin-spice, open a can of pumpkin and use 1/3 the can in the waffle mix. Cut back on the liquid by 1/4 cup of the suggested amount. I made my own pumpkin spice by combining vanilla, cinnamon, ginger and fresh nutmeg. Bonus: pumpkin is quite nutritious! By adding canned pumpkin to pumpkin-spice homemade waffles, you’re getting more fiber, vitamin C, vitamin A, iron and calcium. Orange veggies like pumpkin are rich in antioxidants called carotenoids which are linked to healthy eyesight and skin. Include these types of foods all year long by including sweet potato, carrots, tomatoes and dark leafy greens as well. How will you add pumpkin to your diet this fall? Make mix per instructions, but reduce liquid by 1/4 cup. Stir in pumpkin, vanilla and spices until combined. Pour onto hot, greased waffle iron and cook until golden brown. Serve hot with real maple syrup.